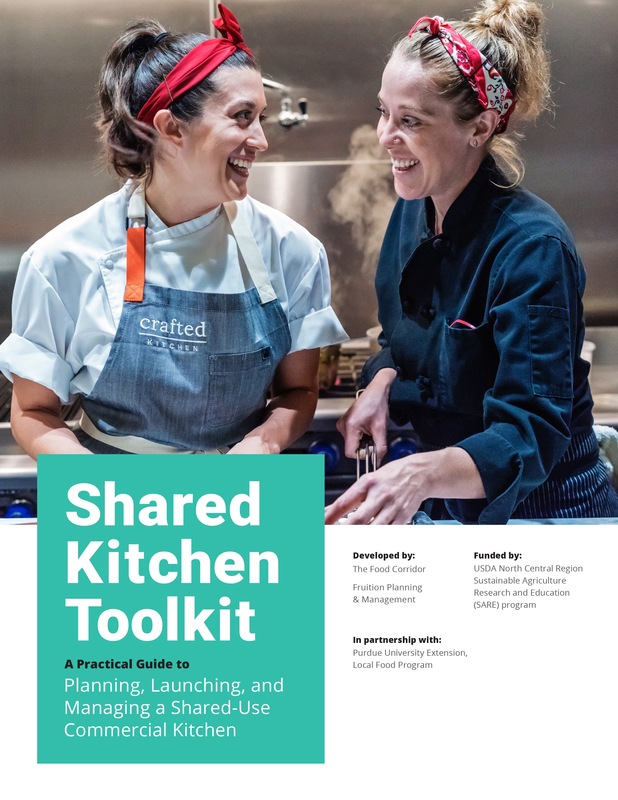 Fruition Planning & Management is excited to announce the release of Shared Kitchen Toolkit: A Practical Guide for Planning, Launching and Managing a Shared-Use Commercial Kitchen. This free comprehensive resource was developed in collaboration with The Food Corridor and Purdue University Extension Local Food Program, thanks to funding from USDA North Central SARE. 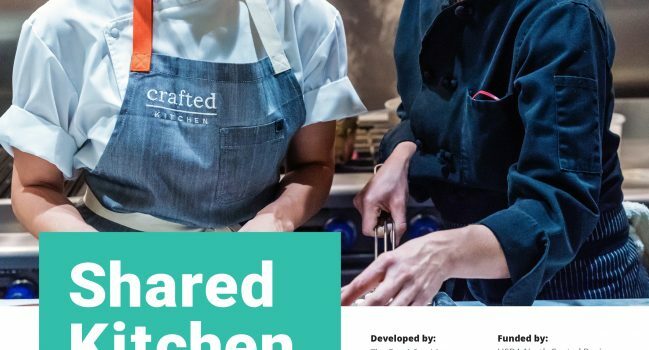 The Shared Kitchen Toolkit is a free web-based resource that includes guidance on feasibility and planning for new kitchen projects, as well as management practices for the day-to-day operations of shared-use kitchens. It provides an overview of emerging kitchen models and highlights opportunities for kitchens to expand their community impact and enhance their financial sustainability. It is available as a free downloadable PDF from The Food Corridor. In addition to the three project partners, 16 shared kitchen professionals and food systems experts contributed to the Shared Kitchen Toolkit. The intended audience includes those seeking to launch a shared kitchen, operators of existing facilities, food entrepreneurs seeking revenue diversification, economic development professionals, food industry consultants, and community kitchen managers seeking additional information and instruction on everything from kitchen storage to kitchen culture.